Are you looking to relax and unwind? 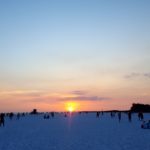 Whether you are local to the Siesta Key area, or visiting, Siesta Key should be on your to-do list. There really is something for everyone. You can sit back and relax on our sugar sand beaches, take in the most gorgeous sunsets. If you want to be busy, there are numerous attractions, both at the beach, and in surrounding beach areas. We have shopping and fine dining too. Leave your worries behind and enjoy! If nature is your thing, there is plenty of turquoise blue water perfect for that kayak trip. This is the perfect location to encounter bottle nosed dolphins, manatees, and native birds. We’ve gathered some of our favorite accommodations, things to do, and places to eat. Explore our little slice of paradise by clicking on the links below.